In 1995, Melinda Michalec, a teacher at North Lakeland Elementary, a Title 1 school in Florida, was promoted to school writing specialist. Her goal was to improve writing proficiency at all grade levels, for all students. At the time, this school had a 14% student pass rate on the grade 4 state writing test, a 64% free and reduced lunch rate, a 45% mobility rate, and a 39% minority rate. After attending workshops, reading research papers, and searching for effective writing programs, she decided to develop her own curriculum. She engaged with teachers and students at all levels to build a scaffolded program that would be easy for teachers to implement and fun for students to use. After five years of development, WriteReflections was born. 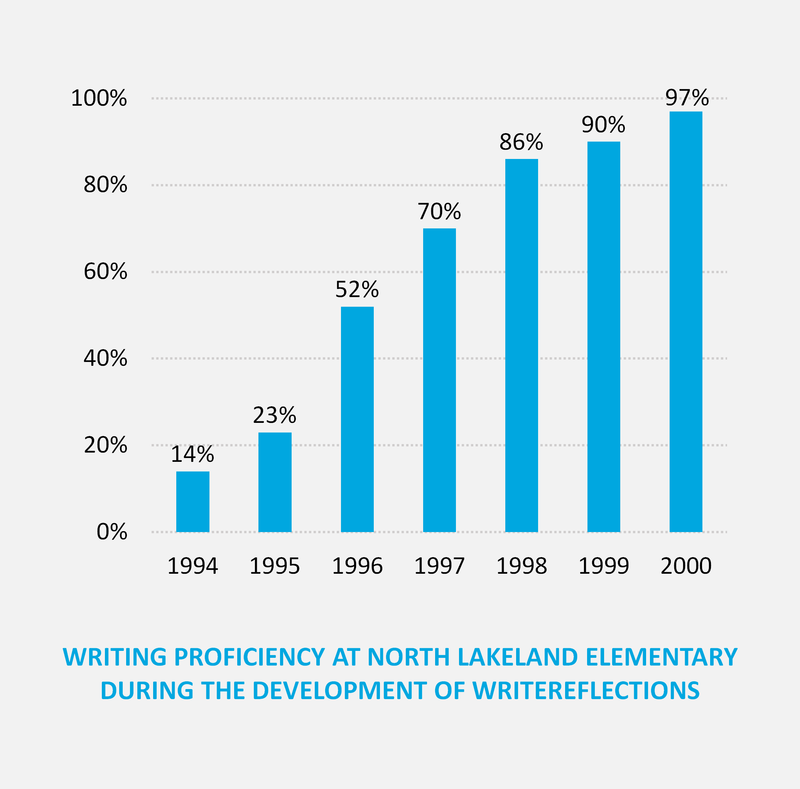 The chart to the left shows the improvement in student writing at North Lakeland as the program was built. In 2000, Michalec began offering WriteReflections to schools across the nation. 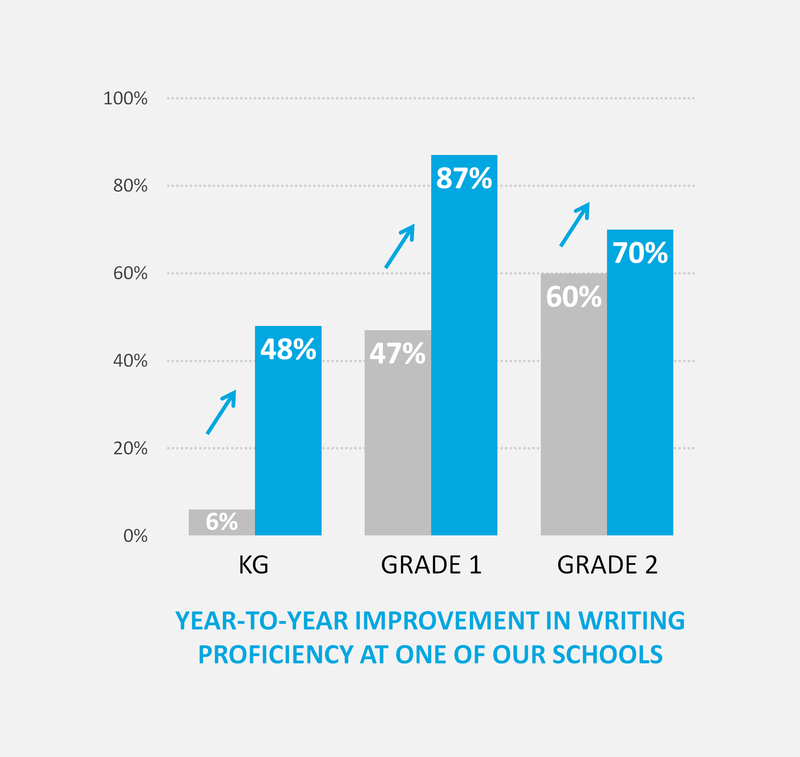 These schools began to see dramatic results – many doubling their writing proficiency rates in a year or two, and many achieving 100% proficiency. Since its launch, the program has been continuously updated with the addition of classroom PowerPoints, text-response writing (to meet Common Core and state standards), and a highly successful middle school/high school writing curriculum. Each year, as students progress through the WriteReflections exercises, they add more sophistication and details to their writing until they are writing fluent paragraphs and stories using advanced vocabularies, descriptive language, smooth transitions, and coherent organizational structure. It is as though the spiral nature of the program pulls students along and up until they simply can’t help but come out on top. Author Melinda Michalec says, “You will find your students will beg you to teach writing, and they will want to write every day.” Now that’s an effective writing program! 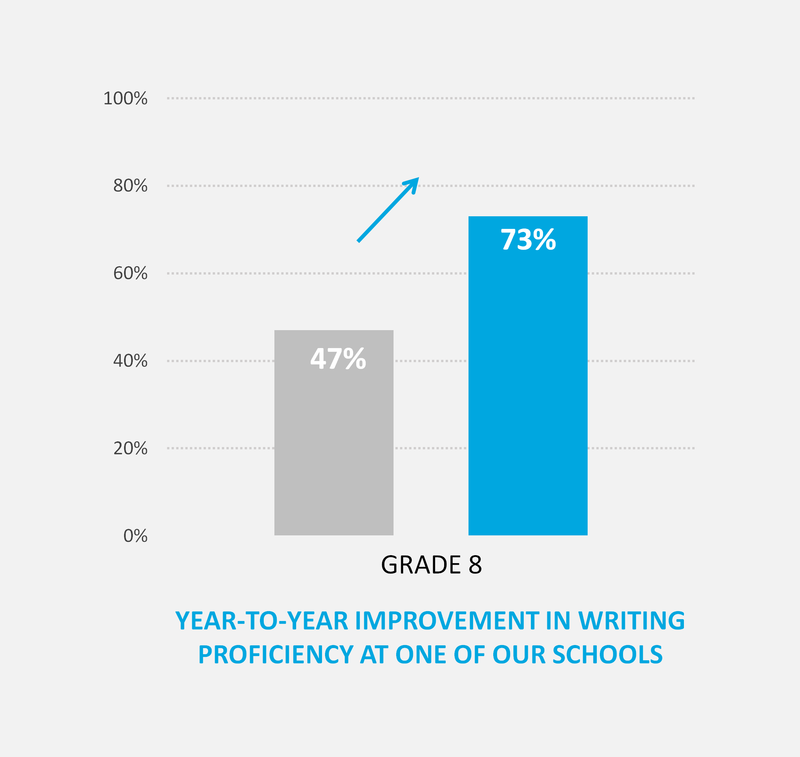 WriteReflections was created to meet the challenge of achieving success on national and state tests, while staying true to practices which are supported by research and are in the best interests of students. With this program, the responsibility is evenly distributed so that all grades are working toward a common goal: producing students who can write focused, organized, and detailed essays. It is indeed possible for all students to view themselves as authors as they write, conference about their work, and publish their writing. 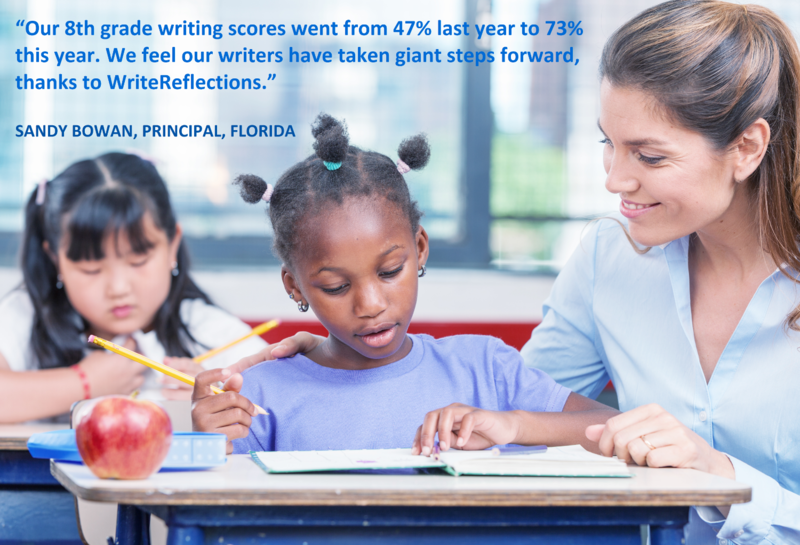 With the organization of WriteReflections, teachers can take big steps or gradual steps to help students achieve their writing goals. Inspire your emerging writers and achieve quick results!